India successfully launched 104 satellites in a single mission on Wednesday, setting what its space agency says is a world record of launching the most satellites at one go. Of the 104, 101 are foreign satellites to serve international customers as the South Asian nation seeks a bigger share of the $300 billion global space industry. "This is a great moment for each and everyone of us. Today we have created history," said project director B. Jayakumar. Prime Minister Narendra Modi tweeted his congratulations on the launch conducted by the state-run Indian Space Research Organisation (ISRO) that went off smoothly and was carried live on national TV news channels. "This remarkable feat by ISRO is yet another proud moment for our space scientific community and the nation," he said. "India salutes our scientists." Modi is bullish on India's space programme and has repeatedly praised the efforts of scientists who three years ago pulled off a low-cost mission to send a probe to orbit Mars that succeeded at the first attempt. ISRO's low prices attracted international customers to launch 75 satellites last year from Sriharikota in the southern state of Andhra Pradesh. 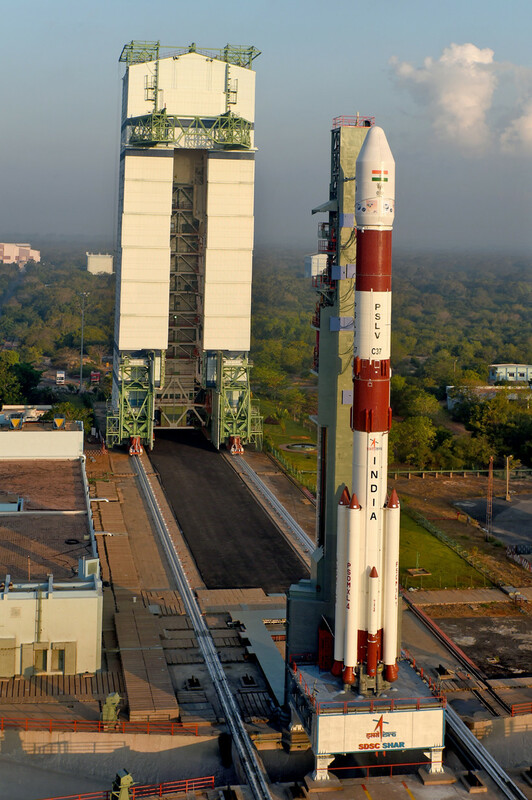 The launch of PSLV-C37 in a single payload, including the Cartosat-2 series and 103 co-passenger satellites, together weighed over 650 kg (1,433 lb). Out of 101 nano satellites, 96 were from the United States and one each from Israel, Kazakhstan, the Netherlands, Switzerland and the United Arab Emirates.